On the Wings of Inferno is probably the album I wanted The Rack to be way back in 1991. I say that with a particular bias, I know, since I was/remain such a massive advocate for Martin van Drunen's two Pestilence records, but this would be the record that most reminded me of his alma mater in its capacity for crushing, evil sounding death metal riffs that took my imagination straight back to favorites like Consuming Impulse or Death's Leprosy. 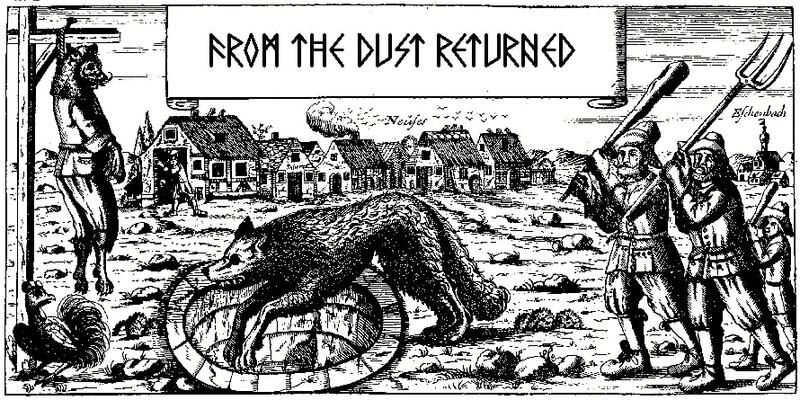 Here's the twist: Martin van Drunen was nowhere to be found, and this was actually a reunion of Eric Daniels and Bob Bagchus, or rather the Soulburn lineup deciding to put that project on hold after one full-length and reform as Asphyx. Joining the pair is bassist/vocalist Wannes Gubbels, and apart from the strong riff selection, his van Drunen 'impression' is critical in why I so enjoyed this effort. Of course, I don't wanna go so far to dub this a 'knockoff' of Consuming Impulse. The person writing the riffs is obviously not Patrick Mameli. It still retains some of that proclivity for slower, death/doom passages, and Gubbels is not 100% a doppelganger for Martin, or Loomans, for that matter. But he certainly uses the same sort of gruesome intonation, with wide, sustained growls that rise ever so slightly in pitch and mesh incredibly well with what might just be the most evil set of riffs Asphyx has ever manifest, and that all comes down to the specific note progressions used here. A tune like "The Scent of Obscurity" would not be out of place on Last One on Earth, or even one of the newer records like Deathhammer, but as simple as the tremolo picking sounds, it just captures that malevolent, raw death metal aesthetic which so drew me to the emergent genre in the later 80s. The musicianship here is hardly superior to their other albums, and I didn't enjoy Eric Daniels' leads as much as his prior outing with the band (the Asphyx s/t in 1994), but when it comes down to sheer power and memorability of the tracks, this one is up there with Last One on Earth as one of my few go-to offerings in their catalog. Dark, deep, dank, not long on innovation but the riffs have a lot of bite and inherent brutality, thanks to the caustic timbre of Wannes Gubbels throat. Like most Asphyx records, the bass seems relegated purely to an atmospheric instrument, thickening the rhythm guitar like baking powder to gravy. Bagchus has continued to develop as a drummer to the point that you could apply him to all but the most technical death metal, I love the splash of the snares here and the low end (kicks) really thunders through the guitar tone, which is very much redolent of Last One on Earth meets Consuming Impulse and that is perfectly fine by me. There's a lot of tension and hostility to the music which still musters up comparisons to that warfare aesthetic they have in the past (and future) shared with Bolt Thrower, but it's all fairly accessible if you'd been listening to death metal in the decade leading up to it. The production is definitely dialed back from the cleaner 1994-1996 material and that's a positive, since Asphyx lost a little edge in that period and, since reclaiming it here, do not seem to have let it go, even if I haven't been blown away by the 21st century stuff. 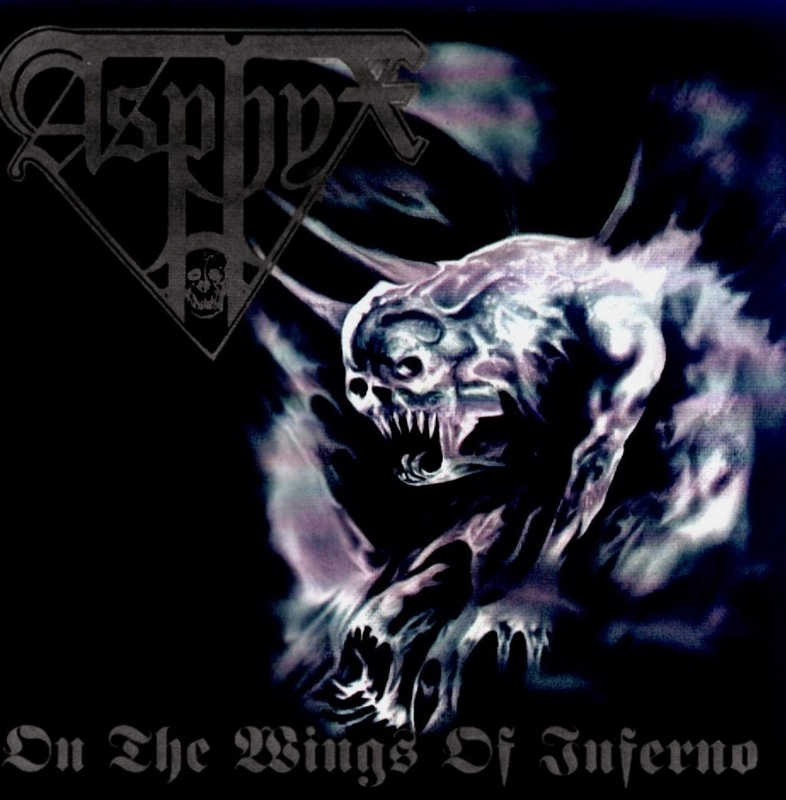 Interestingly, On the Wings of Inferno seems to be the least known/discussed of Asphyx' discography, to the extent that I knew a few fans who actually thought Death...the Brutal Way was their first offering since the mediocre God Cries. I'd conjecture that many had just given up on the band in the late 90s and didn't really pay attention to this, but perhaps it had more limited distribution. I know I saw it when it first dropped at a popular local chain, and picked one up, but the dawn of the millennium was hardly the apex for old school death metal worship. If this had dropped in 2010 it would've been another of those messianic death metal champions for at least 2-3 weeks before people moved on to the next Autopsy or . That said, if you've somehow missed out on it, I'd highly recommend picking this up, it's every bit worthy of Last One on Earth or The Rack and it's my second favorite of their works, scratching the itch for unhinged, unfriendly antiquity when I've worn out another copy of Scream Bloody Gore or Realm of Chaos.